(Reuters) - When a five-bedroom waterfront estate in the Town of Southampton went on sale in 2008 for $5.8 million, the price must have seemed reasonable. After all, second-home prices on the Hamptons, the summer playground for wealthy New Yorkers, had been rising steadily for six straight years. But the house, ringed with mahogany decks and including a vintage pool house, finally sold a few months ago for only $2.75 million, less than half the original asking price. "They weren\'t thrilled, let\'s just say that," realtor Marcia Altman of Brown, Harris Stevens said of the sellers. "They had turned down higher offers in the past, thinking they were too low, and they just got tired of waiting." That may be a very good sign for the Hamptons luxury real estate market, which has been burdened for nearly four years with a glut of homes priced too high to sell. All over the Hamptons, summer homes are starting to move again, according to more than two dozen people involved in the market, including real estate brokers, attorneys, analysts, county officials and local residents. And that is starting to show up in the figures, with pending contract sales rising for five straight months across Long Island\'s Suffolk County, which includes the Hamptons. "The enthusiasm of the buyers is something we haven\'t seen in years," said Pamela Liebman, president of Corcoran Group Real Estate. "We still have a lot of unrealistic sellers, but they\'re beginning to come down and meet the market." A number of elements are shoring up the market: Prices are being cut to levels the market can stand, the economy has stabilized, jobs growth has picked up and banks are loosening up lending. Also, foreign buyers - in particular British, Russian and South American financiers and industrialists - are adding to the buying interest coming from stars of the entertainment and sports worlds, the brokers said. One of the jewels of the U.S. eastern seaboard, the group of agrarian towns and villages about 90 miles east of Manhattan known as the Hamptons has for many years been the summer retreat for Wall Street bankers, hedge fund managers and other affluent Americans drawn to sun-splashed dunes and the tranquility of its seaside communities. While lower bonuses for bankers and the weak performance of much of the hedge fund industry in 2011 kept interest in property deals in check, the strength of the stock and corporate bond markets so far this year is improving sentiment. An unusually warm winter has also helped, brokers said. Prices are still depressed, but that could change this summer. "The prices remain soft for now, but if the pending sales contract trend continues, houses will move, the inventory will tighten up and we\'ll begin to see a shift from a buyer\'s market to a seller\'s market," said Tricia Chirco of Multiple Listings Service, Long Island, a clearinghouse of local real estate statistics. "We\'re stabilizing. And after the past three years, stable is good." Last year, there were 1,605 residential sales on the East End of Long Island, up from 1,178 in 2008, said analyst Jonathan Miller of Miller Samuel Inc. At the market peak in 2005, there were 2,528 sales. Boldfaced names are back in the buyer\'s market. Pop star Jennifer Lopez is in contract in Water Mill. Dallas Mavericks basketball star Jason Kidd just closed on a $5 million home there and NBC News anchor Matt Lauer recently purchased 40 acres adjoining his Water Mill property to build a horse farm. Down on Southampton\'s storied oceanfront Meadow Lane, a six- bedroom mansion sold last month for $28.5 million, property records show. Nearby, another property is in contract for $19.95 million. A 14,000-square-foot, 11-bedroom manse in East Hampton designed by Carnegie Hill architect William B. Tuthill is in contract for $24.5 million. $8.5 MILLION DISCOUNT At the heart of the problem in the years since the financial crisis in 2008 has been the reluctant seller. Over time, the reluctant seller "will look to blame everything else but the economy," said Westhampton Beach broker Vicky Reynolds. "First they\'ll blame the broker, then they will say it\'s not being advertised in the right places and then they\'ll say the appraisal is not high enough." But there are plenty of examples of sellers starting to come to terms with big price drops over the past few years. Take 24 Ocean Avenue, a spacious, five-bedroom Dutch Colonial on three acres in East Hampton Village, one of the most sought-after enclaves on the South Fork. With four fireplaces, a gunite pool, sunken tennis court and a refurbished carriage house, the home premiered on the market on March 17, 2008, for $18.5 million, according to records. By the following January, the price had dropped to $15,995,000 and within six months fell again to $13,500,000 in June 2009. In early 2010, the property was taken off the market and relisted in March for $12,500,000. A year later, the owners took it down to $9,999,000, where it still sits, unsold. 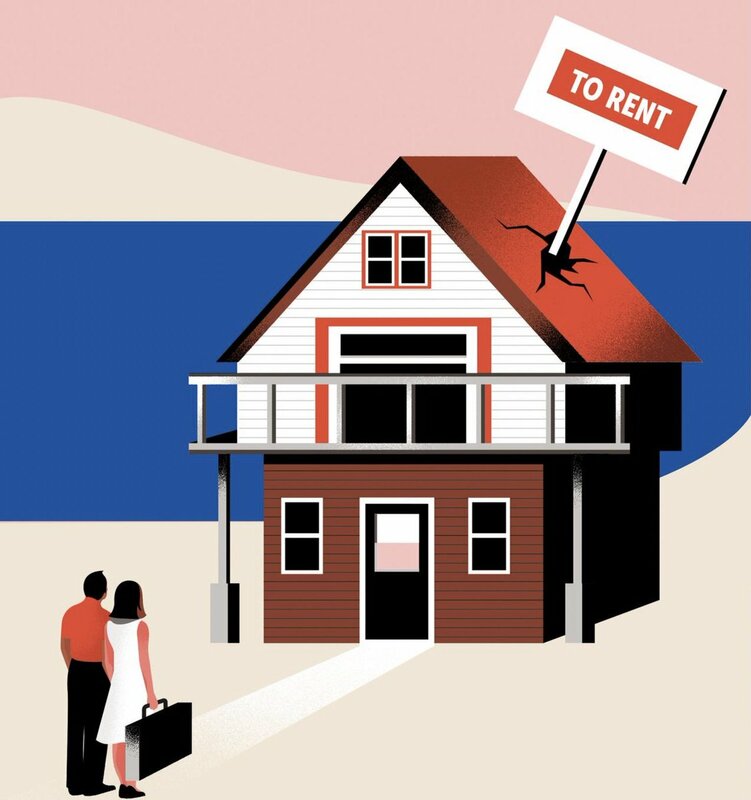 The Hamptons rental market, though, has remained relatively stable throughout most of the downturn, meeting the needs of those who weren\'t ready to buy in a troubled market. But that may taper off as sales grow, said Judi Desiderio, president of Town and Country Realty in East Hampton. "It\'s pretty common that when sales are really high, rentals are a little soft and vice-versa - it\'s the same audience," she said. "We did more rentals after Bear and Lehman fell, but the total value of the sales was lower." Renting a beachfront home in the Hamptons this summer can cost anything from $3,000 for a small cottage on the dunes in Westhampton Beach for the month of August to nearly $500,000 for the same period for a 12-bedroom oceanfront compound in Southampton. Some rarified properties known to only a few top brokers can go for as much as $1 million a month. The Village Latch, one of the Hamptons most postcard perfect inns, located in the heart of Southampton Village, is on sale for a cool $19 million. Of the recent prospective buyers, one stood out - an all-cash bid from a Chinese woman married to a British financial industry titan. The couple met while stationed in London, worked together in Hong Kong and were recently re-assigned to Manhattan. The bid fell short, but the buyers were typical of an influx of foreign money into the Hamptons market, said broker Enzo Morabito, an executive vice president at Prudential Douglas Elliman. "When we talk international buyers, in my experience, we are talking mostly the United Kingdom," said Desiderio. "And we\'re seeing a lot of people who still live in England but will summer out here. The UK contingent is mostly from the financial sector. But the majority, more than three-quarters of our business is still mostly New Yorkers." Ironically, a recovery in the property market here may be unfolding just as a fiscal crisis slams the local authority for the Hamptons area - Suffolk County - listed in 2008 by Forbes magazine as the fourth-richest county in America. Like many counties across the country, Suffolk\'s budget has been hit with falling revenue from sales tax collections and higher expenses, as public-sector pension costs rise. Last month, Suffolk County Executive Steve Bellone declared a state of fiscal emergency following the release of a report that calculated a $530 million budget shortfall over three years. Property tax value in Suffolk County has declined 16 percent since 2008, according to county officials, and a New York state property tax cap of two percent or the rate of inflation - whichever is lower - prevents the county from driving much revenue through property tax increases. But the indirect effects of a bolstered Hamptons real estate market could be significant. When the property sector is buzzing so is the local economy, whether it is retail sales, local restaurant bookings or jobs for those renovating houses, doing landscaping or providing a myriad of home-related services. The glut of unsold homes has even given rise to a cottage industry called home staging, in which interior designers visit sale homes and rearrange furniture and artwork, hang new drapes, offer color consultations and "declutter" entire rooms. Allegra Dioguardia of Styled and Sold, one of the top home-staging firms in the Hamptons, said the business took root in 2008, when she moved to the East End. "I had home sellers calling me, saying ‘help!\' They\'re frustrated. They just keep seeing price reduction after price reduction. They\'re desperate." 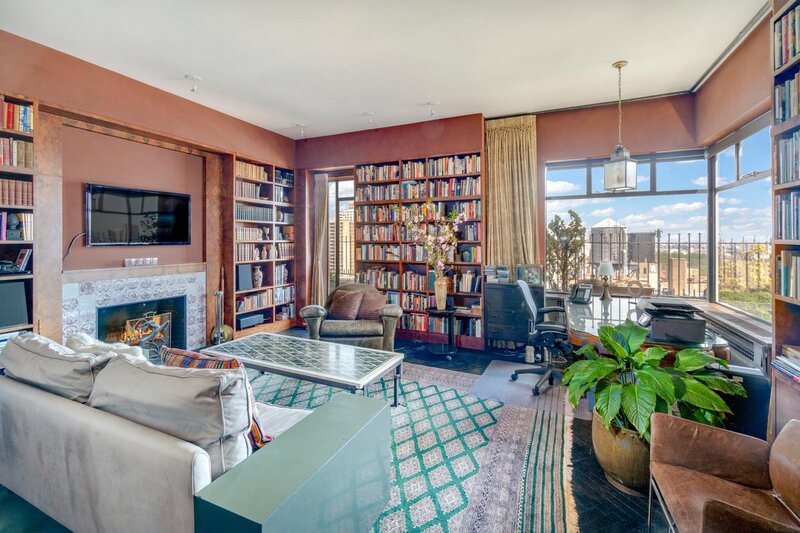 Dioguardia, with degree from the Parsons School of Design, charges from $400 for a two-hour walk-through consultation in which she advises sellers on how to redesign their home themselves, to $25,000 to fully furnish an empty, 3,000-square-foot home. "People will tell me, ‘we just reduced the price by $50,000 and we can\'t afford to stage it,\'" Dioguardia said. "And I\'ll say, ‘call me before you do that again!\'"